North Wales like most of the country has recently has a large dump of snow. 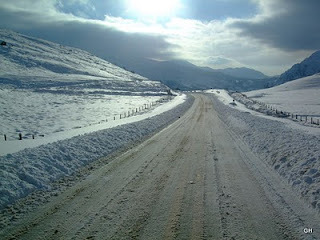 I spent four days over the weekend snowed in at a very alpine looking PYB in Capel Curig. Probably one of the best places to be snowed in; plenty of food, a bar and a ski slope! 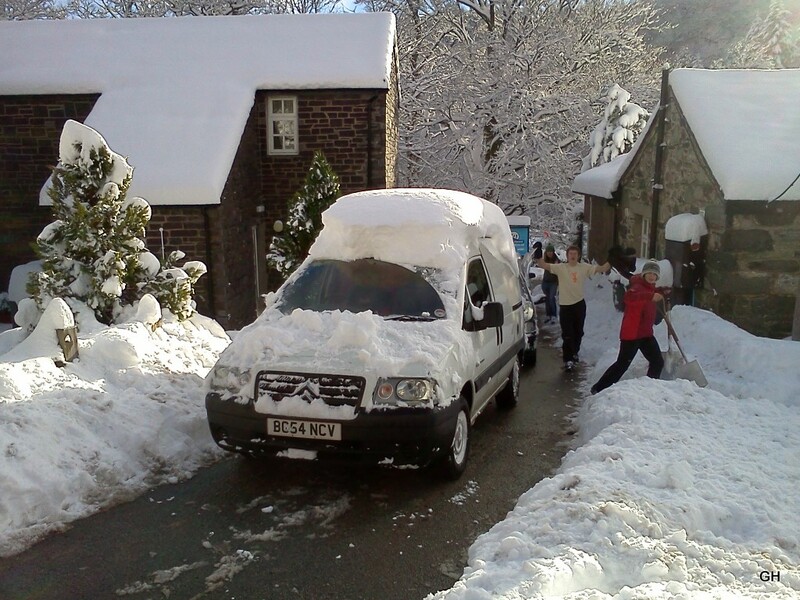 Saturday was spent shovelling snow to clear the track down the car park and extract my van! Good training for Scotland. Van extraction success..check out my new pop-top roof! 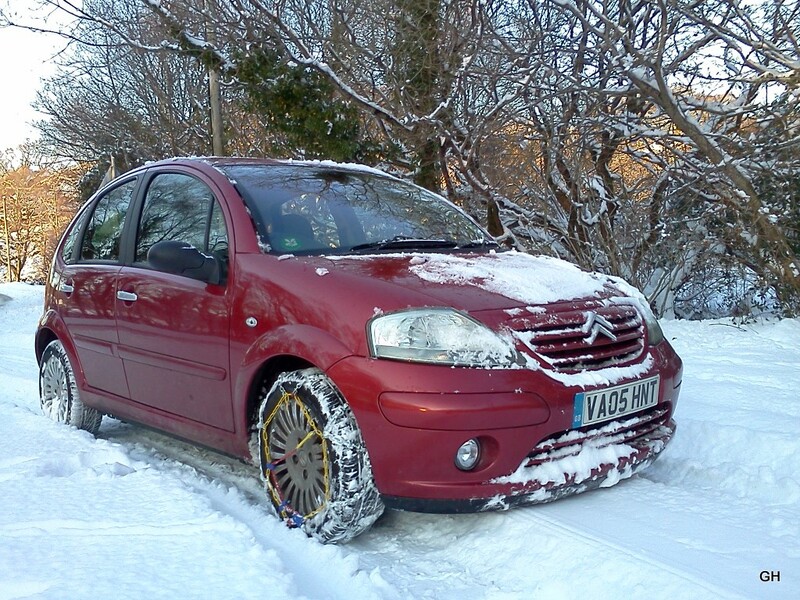 After a sketchy journey home I decided to try and fit some snow chains we have had laying about. They just about fitted onto Amy's lovely little red car. Having not driven with chains before I am very impressed. Good traction even on icy snow! I'm playing to safe, I haven't ventured over 20mph.